The International Monetary Fund (IMF) has warned that China's financial system "faces a steady build up in vulnerabilities". In a review, publicly released on Tuesday, the IMF said that banks were robust enough to withstand isolated shocks. But not, it said, combined exposure to credit, property and currency risks. 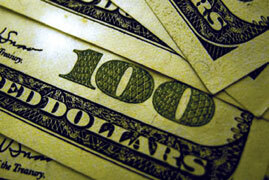 The IMF has urged reforms, including allowing banks to rely more on market mechanisms such as interest rates. "China's banks and financial sector are healthy, but there are vulnerabilities that should be addressed by the authorities," said the Head of the IMF team Jonathan Fiechter, who conducted the review. 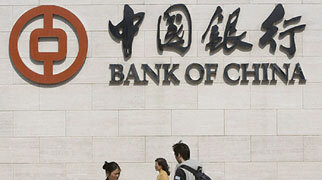 The IMF has recommended the Chinese government play less of a role in the banking system, and allow lending decisions to be based on commercial goals. The Euro fell to a five-week low against the dollar as traders worried that Europe's debt crisis is spreading to larger countries. Borrowing rates in Spain spiked to their highest level since 1997, a sign that investors are worried that the country may have trouble paying its debt. Many economists believe that Spain's higher rates are unsustainable over the long-term. Rates in France and Italy have also jumped higher this week. The expanding growth opportunities in Sri Lanka, compared with the current global economic situation, should provide the impetus for forward looking European companies to increase exposure in the country. Most of the 40 Belgian companies which visited the country for the first time only a year ago, have already begun productive trade and investment ventures with their local partners, and are also supporting the major infrastructure development efforts of Sri Lanka" said Rishad Bathiudeen, Minister of Industry and Commerce of Sri Lanka. Large manufacturing industries which were ruined due to terrorism, inefficient State management or after privatisation are to be reviewed by the Government. The Government will offer these enterprises to the private sector or start partnerships with the private sector,government sources said. Accordingly the Paranthan Chemical Industry which was completely destroyed by the three-decade long terrorism will be reconstructed the Ministry of State Resources and Enterprise Development sources said. The Paranthan Chemical Industry is on a 217-acre land in the Northern Province. 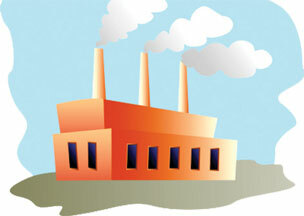 According to estimates, the total investment required for re-establishment of the production facility is Rs. 3b. Investors from India, Ireland and Dubai have expressed interest to invest in the project. 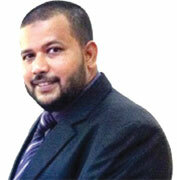 Fitch Ratings Lanka has upgraded People's Bank's (PB) National Long-Term rating to 'AA(lka)' from 'AA-(lka)'. This projects a stable outlook. The upgrade reflects Fitch's view of the Government's increased capacity to support PB, if required, as indicated by the upgrade of Sri Lanka's Issuer Default Rating to 'BB-' in July 2011. The rating reflects Fitch's expectation of Government support, underpinned by the bank's increasing importance to the State, systemic importance to the wider banking sector, and its State ownership. However, Fitch views the probability of support to be moderate. 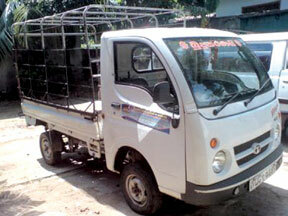 DIMO Batta vehicles were recently handed over to Samurdhi beneficiaries under the Divi Neguma project. The beneficiaries include recipients of Samurdhi stamps and those who have been elevated to the next level through the Samurdhi scheme.The official ceremony to handover the vehicles was held recently at the Divi Neguma Home Based industrial Exhibition in Gampaha. 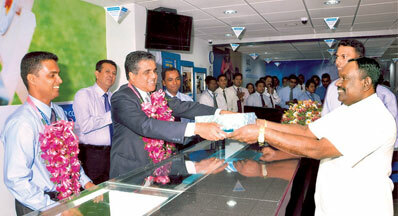 The Commercial Bank of Ceylon opened a branch in Beliatta, expanding the Bank's presence to 207 service points and strengthening its network in Hambantota. Situated at Walasmulla Road, Beliatta, the new branch is equipped with all facilities available at other Commercial Bank branches and is computer-linked to the other service points of the Bank islandwide, enabling online real-time banking. 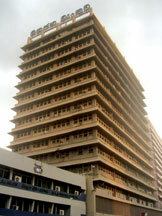 The two ATM machines at the new branch increase Commercial Bank's ATM network to 458 terminals. It is the single largest automated cash dispensing system in the country. The American Chamber of Commerce in Sri Lanka (AmCham) in collaboration with The Chartered Institute of Marketing Sri Lanka Region (CIM) is organising a luncheon seminar on the (Issues Facing Global Marketers) on November 28, 2011 at Hilton Colombo from 12.30pm to 2.00pm. Chris Lenton, International Chairman of The Chartered Institute of Marketing will discuss the challenges marketeers are facing about leadership, sustainable campaigns and getting more for less out of their campaigns based on the research the institute had carried out recently with 150 top CEOs and Senior Executives attached to world's leading companies. Orthopaedic Surgeon, Dr. Benjamin Chua, Consultant Vascular and Endovascular Surgeon, Peter Tan, Group Director Sing Health. 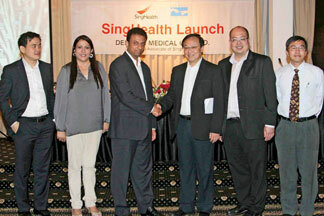 Singapore's healthcare provider, SingHealth which has two tertiary level hospitals and five specialty centres, recorded their partnership with Delmege Medical (Pvt) Ltd, a part of the Delmege Forsyth Group, to a gathering of corporate and medical elite. To formalise the partnership in Sri Lanka were Peter Tan Director Business Development SingHealth, Dr. Andrew Tan Consultant Orthopaedic Surgeon, Prof. Boon Keng Consultant Orthopaedic Surgeon, Dr.Benjamin Chua Consultant Vascular and Endovascular Surgeon and Ms Vijaya Sreenidhi, all from the SinghHealth Group.